I have never been a fan of fairy tale retellings. Something just does not seem right in them. Something always seems amiss. More so, because of the different perspectives that are always trying to battle it out in the novel. It just does not seem right. However, when I heard of “Cinder” and how everyone was raving about it outside of India, I decided to give it a shot. 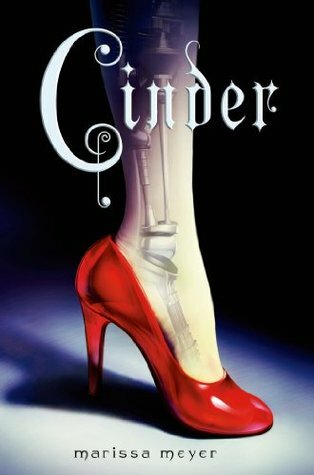 “Cinder” is the first volume in “The Lunar Chronicles” and the debut of Marissa Meyer. For a debut novel, it sure has got all the attention and acclaim which has surprised everyone. Now to talking about the book. “Cinder” is a retelling of “Cinderella”. It is set in the future. The story unfolds in China and Cinderella is Cinder, the cyborg. The world is where humans, androids and cyborgs co-exist. Earth is now a different place. Though some things still remain the same. There is the step-mother, the step-sisters and of course, the prince, Kai. Their love is forbidden, but of course. And then there is the twist in the tale – the ruthless Lunar people want to take over Earth and everything then depends on Cinder (as usual, the heroine will save the day) to make things alright. There is a secret running throughout the book, which you will guess soon enough. Meyer’s writing is fast-paced. You literally turn the pages and get absorbed in what she has to say. Moreover, at some point you distance yourself from the original fairy-tale and become a part of Meyer’s story. To me, that was enough to go on and start reading other books in the series and they are all inter-linked with different fairy tale characters making an appearance in each of them. “Scarlet” is about Little Red Riding Hood and “Cress” about Rapunzel. There are other two books as well, to be released next year. All in all “Cinder” is a book meant for teenagers and adults alike. For people who have already discovered their fairy tales and for those who could also do with a retelling or so. This entry was posted in Books, Fairy Tales, fantasy, Penguin Books, Puffin, Review and tagged Cinder, fairy tales, Lunar Chronicles, Marissa Meyer, penguin, Puffin Books, Retelling on August 19, 2014 by thehungryreader.